The extraction is a surgical procedure involving the removal of the tooth alveolus using an appropriate tool. The procedure is performed under local anesthesia, and in most cases takes place without pain. The indications for the extraction of the teeth are from intractable disease states already conservative treatment. The oral cavity is an environment that hinders the healing of wounds, so after surgery the wound should be as clean as possible by following the recommendations of post-absolutely. Immediately after the treatment dentist will ask you to gentle bite a piece of dry, sterile gauze, which should be left in place for a period of 30-45 minutes. This operation reduces the bleeding when a blood clot. Alveolus packed with clot, which then undergoes organization coincides whitish fibrin coming from the wound edge epithelium. If you do not remove the epithelial the wound usually heals well, even though it is located in an infected environment of the oral cavity. Prior to the development of infection defend local and general body resistance and postoperative follow the correct procedure. It happens that the teeth do not have the space to properly “grow”. The reason for this situation may be incorrect position of the tooth or other individual anatomic conditions.The need to remove such teeth also follows from the fact that trying to bump can cause inflammation, pain, and move other teeth healthy. These are the teeth which may be wholly or partially surrounded by bone however often are not visible in the mouth. Such operations are performed after the previous visit, in front of which it is necessary to perform a panoramic photo. Sometimes they require antibiotic cover. Moreover, for 1-3 days after surgery may remain swollen cheek. Sometimes it is necessary to remove the milk tooth – either with orthodontic reasons or due to recurrent inflammation and significant damage to the tooth. Treatment as in adults is performed under local anesthesia, with very high sensitivity. This procedure involves the removal under local anesthesia of one (or more) the tooth root with leaving in the alveolar bone of the other roots. Hemisection surgery is very difficult and often ended in a fiasco. the planned hemisection molars should be treated with the roots of the canal treatment, you want to keep, but spare hard tissue. Used in the case of very large changes in the bone at one of the root of the tooth multi-root (mostly in molars) when others are healthy bone. 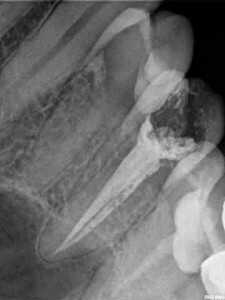 Tooth after hemisection often require prosthetic reconstruction. This treatment to remove cut along the roots of the tooth. Chiselling tooth (usually much destroyed) carry out under local anesthesia, and if there are indications – in the cover of antibiotics. Such an operation requires high precision medical, experience and delicacy. It usually takes approx. 20-60 minutes. Recommendations after similar surgery after tooth extraction. With significant bone defects after previous chronic inflammation – for example, ended hemisections or resection – is required to carry out such a resulting loss of material in the form of bone substitute sterile fine granules. Granules after putting in the cavity are surrendering to the gradual resorption and is being replaced with the bone in the process of healing and a substitution of bones is coming. Even though these materials are very expensive, however having an own bone, is in some cases priceless. The progression of this type more often than not is required at further in implantological treatment. with chronic inflammatory lesions around the root apex. After cut off the tip of the root is removed a change in the bone, antibiotic rinses, fills up his end of the sealed material. The treatment is performed under local anesthesia. 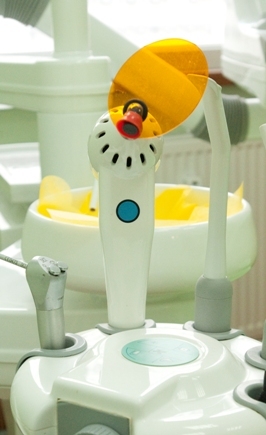 The great advantage of this treatment is possibility of rescuing tooth without the need to remove. We most often perform the treatment at children newborn or of few months for the improvement of the quality of the lactation.In surface anaesthetization we are cutting a notch in the membranous part of the bit situated under language.The treatment lasts a few seconds. The child should be full up, because is recommended 2h break at the feeding. The little cut requires bathing best with the cool tea from salvia and (or) of camomile for 2 days. Upper lip frenulum is attached between the rear part of the upper lip and gum, just above the upper incisors. Correct length of the frenulum is very important, because during the movements the facial lip pulls frenulum with it the gum, causing neck and root exposure of the upper incisors. Besides, it can also cause cosmetic defect in the form of diastema (gap between the incisors). Plastic surgery is performed under local anesthesia and after surgery a few stitches are assumed that requires remove after 7 days. Wound requires local cleaning, and for a week to avoid strenuous exercise, absolutely not allowed to go to the pool,sauna, etc. The procedure is painless and usually do not cause any problems later. An abscess is a pus tank located mostly under the mucosa or the periosteum. symptoms- gums swelling and pain. 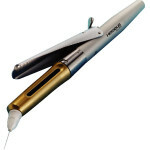 Treatment consists of incision or puncture. Then abscess cavity filters are established which enable it to empty. The filters should be replaced every day. As a rule the general treatment of systemic-antibiotic. 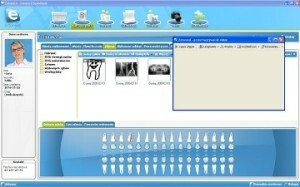 On this visit to the doctor located the cause of the abscess and discuss it with the patient. Anesthesia” in our practice is a very important point of treatment. Our patients never suffer during treatment, and after a few moments are relaxed. 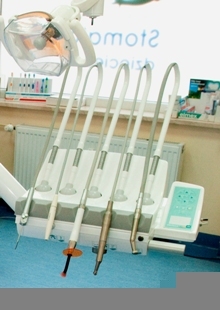 We use modern anesthetics and anesthesia techniques. To anesthesia was performed as effectively as possible we use modern device called citoject. Anesthesia can BE MADE ONCE OR IN SEVERAL DOSES DURING TREATMENT. This is related with the possible inflammation. The truth is that the inflammation reduces the effectiveness of local anesthetics work. This is connected with a reduction in the pH of the inflamed area. Patients with particular concern prior to insertion of the needle, we offer,, freeze ‘spray injection site with an agent for superficial anesthesia, so that the tip of the needle moved as if in a tunnel devoid of feeling. The whole procedure is carried out with the utmost delicacy. Removal of stitches is free after procedures performed in our clinic. Should be removed 7-10 days after the surgery, if healing is correct. On this visit the doctor controls the condition of the wound. In case of problems or bad healing is enhanced antibiotic cover.